I LUBS YOU, MY HONEY. Copyright, 1898, by Frank Harding. Words by Hal Homiston. Music by William Loraine. When we got bigger, I says, "Sally, I lube you." I know 'xactly, he's our babby. It looked like me, 'twas our babby.- Chorus. 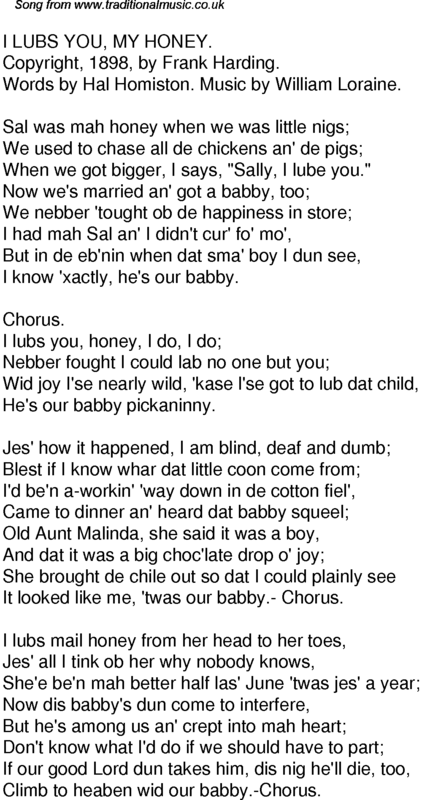 Climb to heaben wid our babby.-Chorus.